Losing a parakeet suddenly can be a sign of a communicable bird disease. When your friendly, chatty parakeet seems fine one minute and then suddenly dies, there's no single reason you can pinpoint without asking your vet for a diagnosis. Their little systems are fragile in many ways, and they don't always show symptoms of problems until it's too late. Parakeets need a varied but balanced diet and plenty of water. Dehydration can kill your bird quickly, so always make sure there's water in her cage. Instead of buying a standard bird seed, look for a seed mix that is designed specifically for parakeets. These often contain dried fruit and other nutrition your bird needs, such as calcium -- low blood calcium can cause sudden death. Give her some small pieces of fresh, raw fruits and vegetables to help round out her diet. Don't leave fruit in her cage all the time, though. Eating too much fruit can mess with her blood sugar, an imbalance of which can cause her to die suddenly. Your parakeet is sensitive to many toxins that won't affect you. For example, cooking near a parakeet using a non-stick pan that has polytetrafluoroethylene (PTFE) as part of the coating can kill your bird without warning. PTFE is also found on other non-stick surfaces, such as irons, and heating those up around your bird could be deadly for her. She can also die from inhaling strong fumes, such as those in insecticides and paint, so take her out of the house for at least 24 hours if strong fumes are present. Some foods are toxic to her little system as well, such as caffeine, chocolate, fruit pits, avocado, peanuts and onions. 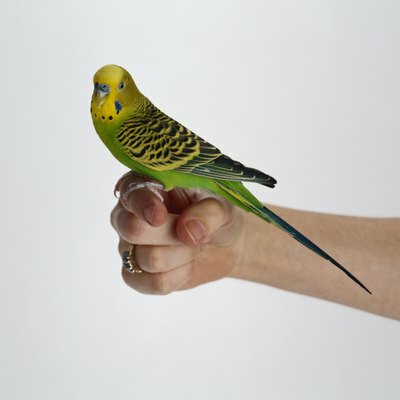 Some diseases are sneaky; your parakeet can die without any symptoms from diseases. Chlamydiosis, or parrot fever, for example, can affect all birds and is often transmitted from healthy birds carrying the dormant organism. Your bird might seem lethargic or lose her appetite, or she might seem fine up until she dies. Tumors are often undiagnosed until after your bird dies, and she might not show any symptoms prior to her death. Exposure to heat can kill your bird quickly, so pay attention to your bird's current environment and how that environment might change throughout the day. For example, placing her cage next to an open window might give her a lovely fresh breeze in the morning, but the beating sun and heat of the afternoon can be deadly. Also, never leave your bird in the car when you aren't in there, as the temperature can swing dangerously high in the summer. Keep her cage away from the direct heat of fireplaces, air vents and space heaters just to be safe. Parakeet Food Needs to Be Changed How Often? Can a Parakeet Survive After Their Partner Dies?